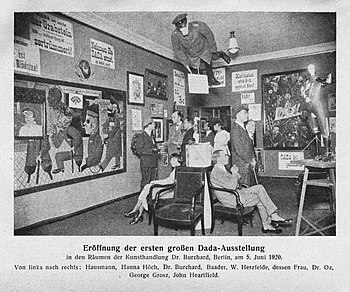 Grand opening of the first Dada exhibition: International Dada Fair, Berlin, 5 June 1920. The central figure hanging from the ceiling was an effigy of a German officer with a pig's head. From left to right: Raoul Hausmann, Hannah Höch (sitting), Otto Burchard, Johannes Baader, Wieland Herzfelde, Margarete Herzfelde, Dr. Oz (Otto Schmalhausen), George Grosz and John Heartfield. 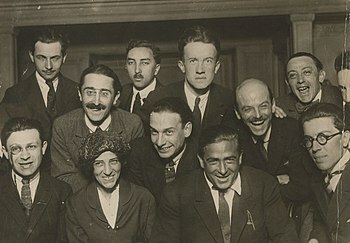 Dada artists, group photograph, 1920, Paris. From left to right, Back row: Louis Aragon, Theodore Fraenkel, Paul Eluard, Clément Pansaers, Emmanuel Fay (cut off). Second row: Paul Dermée, Philippe Soupault, Georges Ribemont-Dessaignes. Front row: Tristan Tzara (with monocle), Celine Arnauld, Francis Picabia, André Breton. Dada (/ˈdɑːdɑː/) or Dadaism was an art movement of the European avant-garde in the early 20th century, with early centers in Zürich, Switzerland, at the Cabaret Voltaire (circa 1916); New York Dada began circa 1915, and after 1920 Dada flourished in Paris. Developed in reaction to World War I, the Dada movement consisted of artists who rejected the logic, reason, and aestheticism of modern capitalist society, instead expressing nonsense, irrationality, and anti-bourgeois protest in their works. The art of the movement spanned visual, literary, and sound media, including collage, sound poetry, cut-up writing, and sculpture. Dadaist artists expressed their discontent with violence, war, and nationalism, and maintained political affinities with the radical far-left. There is no consensus on the origin of the movement's name; a common story is that the German artist Richard Huelsenbeck slid a paper knife (letter-opener) at random into a dictionary, where it landed on "dada", a colloquial French term for a hobby horse. Others note that it suggests the first words of a child, evoking a childishness and absurdity that appealed to the group. Still others speculate that the word might have been chosen to evoke a similar meaning (or no meaning at all) in any language, reflecting the movement's internationalism. The roots of Dada lie in pre-war avant-garde. The term anti-art, a precursor to Dada, was coined by Marcel Duchamp around 1913 to characterize works which challenge accepted definitions of art. Cubism and the development of collage and abstract art would inform the movement's detachment from the constraints of reality and convention. The work of French poets, Italian Futurists and the German Expressionists would influence Dada's rejection of the tight correlation between words and meaning. Works such as Ubu Roi (1896) by Alfred Jarry, and the ballet Parade (1916–17) by Erik Satie would also be characterized as proto-Dadaist works. The Dada movement's principles were first collected in Hugo Ball's Dada Manifesto in 1916. The Dadaist movement included public gatherings, demonstrations, and publication of art/literary journals; passionate coverage of art, politics, and culture were topics often discussed in a variety of media. Key figures in the movement included Hugo Ball, Marcel Duchamp, Emmy Hennings, Hans Arp, Sophie Taeuber-Arp, Raoul Hausmann, Hannah Höch, Johannes Baader, Tristan Tzara, Francis Picabia, Huelsenbeck, George Grosz, John Heartfield, Man Ray, Beatrice Wood, Kurt Schwitters, Hans Richter, Max Ernst, and Elsa von Freytag-Loringhoven among others. The movement influenced later styles like the avant-garde and downtown music movements, and groups including Surrealism, nouveau réalisme, pop art and Fluxus. Avant-garde circles outside France knew of pre-war Parisian developments. They had seen (or participated in) Cubist exhibitions held at Galeries Dalmau, Barcelona (1912), Galerie Der Sturm in Berlin (1912), the Armory Show in New York (1913), SVU Mánes in Prague (1914), several Jack of Diamonds exhibitions in Moscow and at De Moderne Kunstkring, Amsterdam (between 1911 and 1915). Futurism developed in response to the work of various artists. Dada subsequently combined these approaches. Many Dadaists believed that the 'reason' and 'logic' of bourgeois capitalist society had led people into war. They expressed their rejection of that ideology in artistic expression that appeared to reject logic and embrace chaos and irrationality. For example, George Grosz later recalled that his Dadaist art was intended as a protest "against this world of mutual destruction." Dada was born out of negative reaction to the horrors of the First World War. This international movement was begun by a group of artists and poets associated with the Cabaret Voltaire in Zürich. Dada rejected reason and logic, prizing nonsense, irrationality and intuition. The origin of the name Dada is unclear; some believe that it is a nonsensical word. Others maintain that it originates from the Romanian artists Tristan Tzara's and Marcel Janco's frequent use of the words "da, da," meaning "yes, yes" in the Romanian language. Another theory says that the name "Dada" came during a meeting of the group when a paper knife stuck into a French–German dictionary happened to point to 'dada', a French word for 'hobbyhorse'. Ironically, though, Duchamp's late activities in New York, along with the machinations of Picabia, re-cast Dada's history. Dada's European chroniclers—primarily Richter, Tzara, and Huelsenbeck—would eventually become preoccupied with establishing the pre-eminence of Zurich and Berlin at the foundations of Dada, but it proved to be Duchamp who was most strategically brilliant in manipulating the genealogy of this avant-garde formation, deftly turning New York Dada from a late-comer into an originating force. In 1916, Hugo Ball, Emmy Hennings, Tristan Tzara, Jean Arp, Marcel Janco, Richard Huelsenbeck, Sophie Taeuber, and Hans Richter, along with others, discussed art and put on performances in the Cabaret Voltaire expressing their disgust with the war and the interests that inspired it. Some sources state that Dada coalesced on October 6 at the Cabaret Voltaire. Other sources state that Dada did not originate fully in a Zürich literary salon but grew out of an already vibrant artistic tradition in Eastern Europe, particularly Romania, that transposed to Switzerland when a group of Jewish modernist artists (Tzara, Janco, Arthur Segal, and others) settled in Zürich. In the years prior to the First World War similar art had already risen in Bucharest and other Eastern European cities; it is likely that Dada's catalyst was the arrival in Zürich of artists like Tzara and Janco. The Cabaret closed its doors in early July and then at the first public soirée at Waag Hall on July 14, 1916, Ball recited the first manifesto. In 1917, Tzara wrote a second Dada manifesto considered one of the most important Dada writings, which was published in 1918. Other manifestos followed. 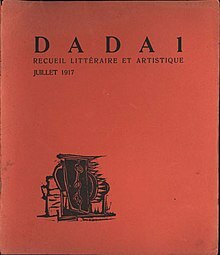 Zürich Dada, with Tzara at the helm, published the art and literature review Dada beginning in July 1917, with five editions from Zürich and the final two from Paris. After the fighting of the First World War had ended in the armistice of November 1918, most of the Zürich Dadaists returned to their home countries, and some began Dada activities in other cities. Others, such as the Swiss native Sophie Taeuber, would remain in Zürich into the 1920s. In February 1918, while the Great War was approaching its climax, Huelsenbeck gave his first Dada speech in Berlin, and he produced a Dada manifesto later in the year. Following the October Revolution in Russia, by then out of the war, Hannah Höch and George Grosz used Dada to express communist sympathies. 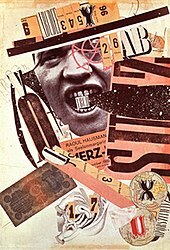 Grosz, together with John Heartfield, Höch and Hausmann developed the technique of photomontage during this period. After the war, the artists published a series of short-lived political magazines and held the First International Dada Fair, 'the greatest project yet conceived by the Berlin Dadaists', in the summer of 1920. As well as work by the main members of Berlin Dada – Grosz, Raoul Hausmann, Hannah Höch, Johannes Baader, Huelsenbeck and Heartfield – the exhibition also included the work of Otto Dix, Francis Picabia, Jean Arp, Max Ernst, Rudolf Schlichter, Johannes Baargeld and others. In all, over 200 works were exhibited, surrounded by incendiary slogans, some of which also ended up written on the walls of the Nazi's Entartete Kunst exhibition in 1937. Despite high ticket prices, the exhibition lost money, with only one recorded sale. Like Zürich, New York City was a refuge for writers and artists from the First World War. Soon after arriving from France in 1915, Marcel Duchamp and Francis Picabia met American artist Man Ray. By 1916 the three of them became the center of radical anti-art activities in the United States. 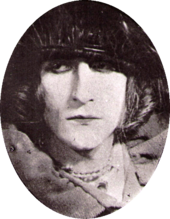 American Beatrice Wood, who had been studying in France, soon joined them, along with Elsa von Freytag-Loringhoven. Arthur Cravan, fleeing conscription in France, was also in New York for a time. Much of their activity centered in Alfred Stieglitz's gallery, 291, and the home of Walter and Louise Arensberg. During this time Duchamp began exhibiting "readymades" (everyday objects found or purchased and declared art) such as a bottle rack, and was active in the Society of Independent Artists. In 1917 he submitted the now famous Fountain, a urinal signed R. Mutt, to the Society of Independent Artists exhibition but they rejected the piece. First an object of scorn within the arts community, the Fountain has since become almost canonized by some as one of the most recognizable modernist works of sculpture. Art world experts polled by the sponsors of the 2004 Turner Prize, Gordon's gin, voted it "the most influential work of modern art". As recent scholarship documents, the work is still controversial. Duchamp indicated in a 1917 letter to his sister that a female friend was centrally involved in the conception of this work: "One of my female friends who had adopted the pseudonym Richard Mutt sent me a porcelain urinal as a sculpture." The piece is in line with the scatological aesthetics of Duchamp's neighbour, the Baroness Elsa von Freytag-Loringhoven. In an attempt to "pay homage to the spirit of Dada" a performance artist named Pierre Pinoncelli made a crack in a replica of The Fountain with a hammer in January 2006; he also urinated on it in 1993. Picabia's travels tied New York, Zürich and Paris groups together during the Dadaist period. For seven years he also published the Dada periodical 391 in Barcelona, New York City, Zürich, and Paris from 1917 through 1924. By 1921, most of the original players moved to Paris where Dada had experienced its last major incarnation. The French avant-garde kept abreast of Dada activities in Zürich with regular communications from Tristan Tzara (whose pseudonym means "sad in country," a name chosen to protest the treatment of Jews in his native Romania), who exchanged letters, poems, and magazines with Guillaume Apollinaire, André Breton, Max Jacob, Clément Pansaers, and other French writers, critics and artists. In the Netherlands the Dada movement centered mainly around Theo van Doesburg, best known for establishing the De Stijl movement and magazine of the same name. Van Doesburg mainly focused on poetry, and included poems from many well-known Dada writers in De Stijl such as Hugo Ball, Hans Arp and Kurt Schwitters. Van Doesburg and Thijs Rinsema [nl] (a cordwainer and artist in Drachten) became friends of Schwitters, and together they organized the so-called Dutch Dada campaign in 1923, where van Doesburg promoted a leaflet about Dada (entitled What is Dada? ), Schwitters read his poems, Vilmos Huszár demonstrated a mechanical dancing doll and Nelly van Doesburg (Theo's wife), played avant-garde compositions on piano. Van Doesburg wrote Dada poetry himself in De Stijl, although under a pseudonym, I.K. Bonset, which was only revealed after his death in 1931. 'Together' with I.K. 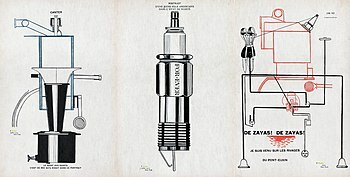 Bonset, he also published a short-lived Dutch Dada magazine called Mécano (1922–3). 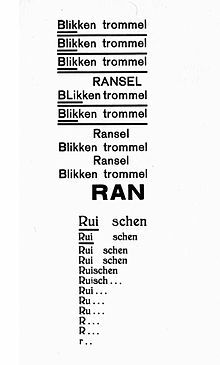 Another Dutchman identified by K. Schippers in his study of the movement in the Netherlands was the Groningen typographer H. N. Werkman, who was in touch with van Doesburg and Schwitters while editing his own magazine, The Next Call (1923–6). Two more artists mentioned by Schippers were German-born and eventually settled in the Netherlands. These were Otto van Rees, who had taken part in the liminal exhibitions at the Café Voltaire in Zürich, and Paul Citroen. Although Dada itself was unknown in Georgia until at least 1920, from 1917 until 1921 a group of poets called themselves "41st Degree" (referring both to the latitude of Tbilisi, Georgia and to the temperature of a high fever) organized along Dadaist lines. The most important figure in this group was Iliazd, whose radical typographical designs visually echo the publications of the Dadaists. After his flight to Paris in 1921, he collaborated with Dadaists on publications and events. In Yugoslavia there was significant Dada activity between 1920 and 1922, run mainly by Dragan Aleksić and including work by Mihailo S. Petrov, Zenitism's two brothers Ljubomir Micić and Branko Ve Poljanski. Aleksić used the term "Yougo-Dada" and is known to have been in contact with Raoul Hausmann, Kurt Schwitters, and Tristan Tzara. The Dada movement in Italy, based in Mantua, was met with distaste and failed to make a significant impact in the world of art. It published a magazine for a short time and held an exhibition in Rome, featuring paintings, quotations from Tristan Tzara, and original epigrams such as "True Dada is against Dada". The most notable member of this group was Julius Evola, who went on to become an eminent scholar of occultism, as well as a right-wing philosopher. Dada, an iconic character from the Ultra Series. His design draws inspiration from the art movement. A prominent Dada group in Japan was Mavo, founded in July 1923 by Tomoyoshi Murayama and Yanase Masamu [de; ja]. Other prominent artists were Jun Tsuji, Eisuke Yoshiyuki, Shinkichi Takahashi and Katsue Kitasono. 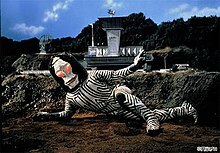 In the Tsuburaya Productions's Ultra Series, an alien named Dada was designed after the Dadaism movement, with said character first appearing in episode 28 of the 1966 tokusatsu series, Ultraman, and was designed by character artist Toru Narita. 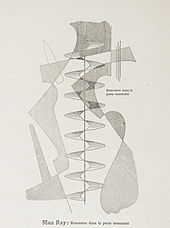 Dada's design is primarily monochromatic, and features numerous sharp lines and alternating black and white stripes, as a reference to the movement. On May 19, 2016, in celebration to the 100 year anniversary of Dadaism in Tokyo, the Ultra Monster was invited to meet the Swiss Ambassador Urs Bucher. Dada in itself was relatively unknown in Russia, however, avant-garde art was widespread due to the Bolshevik's revolutionary agenda. The Nichevoki [ru], a literary group sharing Dadaist ideals achieved infamy after one of its members suggested that Vladimir Mayakovsky should go to the "Pampushka" (Pameatnik Pushkina – Pushkin monument) on the "Tverbul" (Tverskoy Boulevard) to clean the shoes of anyone who desired it, after Mayakovsky declared that he was going to cleanse Russian literature. In literature, Dadaism focused mainly on poetry, particularly the so-called sound poetry, which was invented by Hugo Ball and often performed on stage. The Dadaist poem is described as one that abolishes the traditional concept of poetry, including the structure, order, as well as the interplay of sound and meaning or the meaning of language itself. The belief is that the existing system by which information is articulated is said to rob language of its dignity. Dadaglobe solicitation form letter signed by Francis Picabia, Tristan Tzara, Georges Ribemont-Dessaignes, and Walter Serner, c. week of November 8, 1920. This example was sent from Paris to Alfred Vagts in Munich. Therefore, the dismantling of the language and the poetic conventions are considered attempts to restore language to its purest and most innocent form. "With these sound poem, we wanted to dispense with a language which journalism had made desolate and impossible." One of the offshoots of this type of poetry was the simultaneous poems, which were recited by a group of speakers, who collectively produce a chaotic and confusing set of voices. 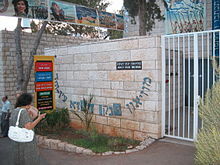 The poems are considered manifestations of modern society such as advertising, technology, and conflict, among others. However, unlike movements such as expressionism, Dadaism appreciated the dynamics of modernity and the urban life. The poetry produced by this genre does not consider the chaotic urban and futuristic world as negative, man-eating or hellish. Instead, there is a focus on how these serve as new natural terrain that opens up new ideas for life and art. Dada was not confined to the visual and literary arts; its influence reached into sound and music. 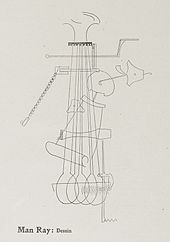 Kurt Schwitters developed what he called sound poems, while Francis Picabia and Georges Ribemont-Dessaignes composed Dada music performed at the Festival Dada in Paris on 26 May 1920. Other composers such as Erwin Schulhoff, Hans Heusser and Alberto Savinio all wrote Dada music, while members of Les Six collaborated with members of the Dada movement and had their works performed at Dada gatherings. Erik Satie also dabbled with Dadaist ideas during his career, although he is primarily associated with musical Impressionism. In the very first Dada publication, Hugo Ball describes a "balalaika orchestra playing delightful folk-songs." African music and jazz were common at Dada gatherings. In the early days, I didn't even know what to call the stuff my life was made of. You can imagine my delight when I discovered that someone in a distant land had the same idea—AND a nice, short name for it. By the dawn of the Second World War, many of the European Dadaists had emigrated to the United States. Some (Otto Freundlich, Walter Serner) died in death camps under Adolf Hitler, who actively persecuted the kind of "degenerate art" that he considered Dada to represent. The movement became less active as post-war optimism led to the development of new movements in art and literature. 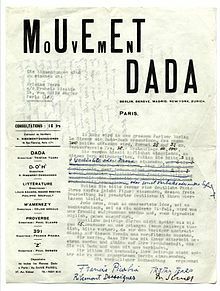 Dada is a named influence and reference of various anti-art and political and cultural movements, including the Situationist International and culture jamming groups like the Cacophony Society. Upon breaking up in July 2012, anarchist pop band Chumbawamba issued a statement which compared their own legacy with that of the Dada art movement. At the same time that the Zürich Dadaists were making noise and spectacle at the Cabaret Voltaire, Lenin was planning his revolutionary plans for Russia in a nearby apartment. Tom Stoppard used this coincidence as a premise for his play Travesties (1974), which includes Tzara, Lenin, and James Joyce as characters. French writer Dominique Noguez imagined Lenin as a member of the Dada group in his tongue-in-cheek Lénine Dada (1989). The former building of the Cabaret Voltaire fell into disrepair until it was occupied from January to March 2002, by a group proclaiming themselves Neo-Dadaists, led by Mark Divo. The group included Jan Thieler, Ingo Giezendanner, Aiana Calugar, Lennie Lee, and Dan Jones. After their eviction, the space was turned into a museum dedicated to the history of Dada. The work of Lee and Jones remained on the walls of the new museum. Marcel Duchamp began to view the manufactured objects of his collection as objects of art, which he called "readymades". He would add signatures and titles to some, converting them into artwork that he called "readymade aided" or "rectified readymades". Duchamp wrote: "One important characteristic was the short sentence which I occasionally inscribed on the 'readymade.' That sentence, instead of describing the object like a title, was meant to carry the mind of the spectator towards other regions more verbal. Sometimes I would add a graphic detail of presentation which in order to satisfy my craving for alliterations, would be called 'readymade aided.'" 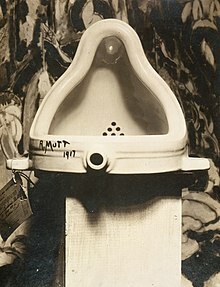 One such example of Duchamp's readymade works is the urinal that was turned onto its back, signed "R. Mutt", titled Fountain, and submitted to the Society of Independent Artists exhibition that year, though it was not displayed. ^ Trachtman, Paul. "A Brief History of Dada". Smithsonian Magazine. Retrieved 14 January 2017. ^ a b c Budd, Dona, The Language of Art Knowledge, Pomegranate Communications, Inc.
^ Middleton, J. C. (1962). ""Bolshevism in Art": Dada and Politics". Texas Studies in Literature and Language. 4 (3): 408–430. JSTOR 40753524. ^ Dada at thearthistory.org, retrieved March 13, 2017. ^ "Introduction: "Everybody can Dada"". National Gallery of Art. Archived from the original on 2 November 2008. Retrieved 10 May 2012. ^ Naumann, Francis M. (1994). New York Dada. New York: Abrams. ISBN 0810936763. ^ Dubravka Djurić, Miško Šuvaković. Impossible Histories: Historical Avant-gardes, Neo-avant-gardes, and Post-avant-gardes in Yugoslavia, 1918–1991, p. 132, MIT Press, 2003. ISBN 9780262042161; Jovanov Jasna, Kujundžić Dragan, "Yougo-Dada". "Crisis and the Arts: The History of Dada", Vol. IV, The Eastern Orbit: Russia, Georgia, Ukraine, Central Europe and Japan, General Editor Stephen C. Foster, G.K. Hall & Comp. Publishers, New York 1998, 41–62; Jasna Jovanov, Demistifikacija apokrifa: dadaizam na jugoslovenskim prostorima 1920–1922, Novi Sad: Apokrif, 1999. ^ "「三面怪人 ダダ」が「ダダイズム100周年」を祝福！スイス大使館で開催された記者発表会に登場！" (in Japanese). m-78.jp. 2016-05-19. Retrieved 2016-06-08. ^ "Dada Celebrates Dadaism's 100th Anniversary". tokusatsunetwork.com. 2016-05-19. Retrieved 2016-06-08. ^ Elger, Dietmar; Grosenick, Uta (2004). Dadaism. London: Taschen. p. 12. ISBN 9783822829462. ^ Morrison, Jeffrey; Krobb, Florian (1997). Text Into Image, Image Into Text: Proceedings of the Interdisciplinary. Atlanta: Rodopi. p. 234. ISBN 9042001526. ^ Coutinho, Eduardo (2018). Brazilian Literature as World Literature. New York: Bloomsbury Publishing. p. 158. ISBN 9781501323263. ^ "manifestos: dada manifesto on feeble love and bitter love by tristan tzara, 12th december 1920". 391. 1920-12-12. Retrieved 2011-06-27. ^ "DADA – Techniques – photomontage". Nga.gov. Retrieved 2011-06-11. ^ "DADA – Techniques – assemblage". Nga.gov. Retrieved 2011-06-11. Dada : La révolte de l'art, Paris, Gallimard / Centre Pompidou, collection "Découvertes Gallimard" (nº 476), 2005. 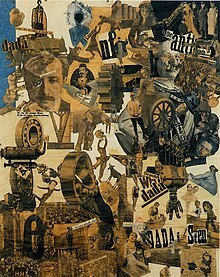 Wikimedia Commons has media related to Dada.